The launch video includes the use of ancient computer hardware with a very attractive spin on old-school command line interfaces wrapping around the new-fangled Trello desktop app. Two questions; is it new? Is it a desktop app? The Trello desktop app appears to be a dedicated web app which I have no problem with considering I am writing this blog on a MacBook with the Ghost desktop app which is an Electron and Ember desktop app. The idea of desktop and web being separate is not one I have followed for about ten years. Desktop, mobile, web, local and remote are all one big cluster of possibilities for creating the best applications. Trello, well done with your launch video! 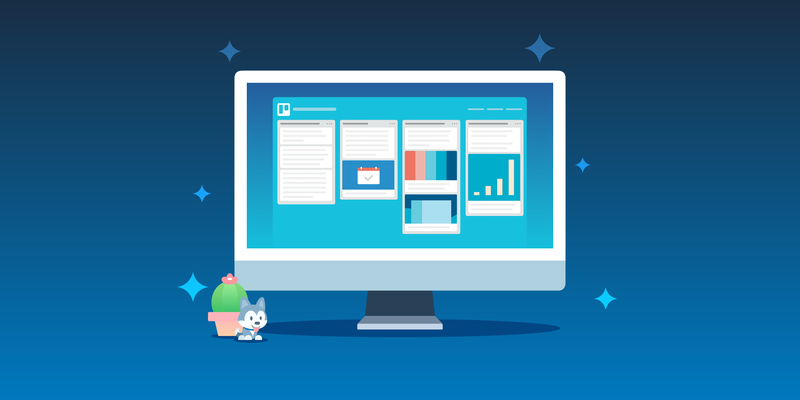 The Trello desktop app is a great addition. I am excited to see what Trello does next.